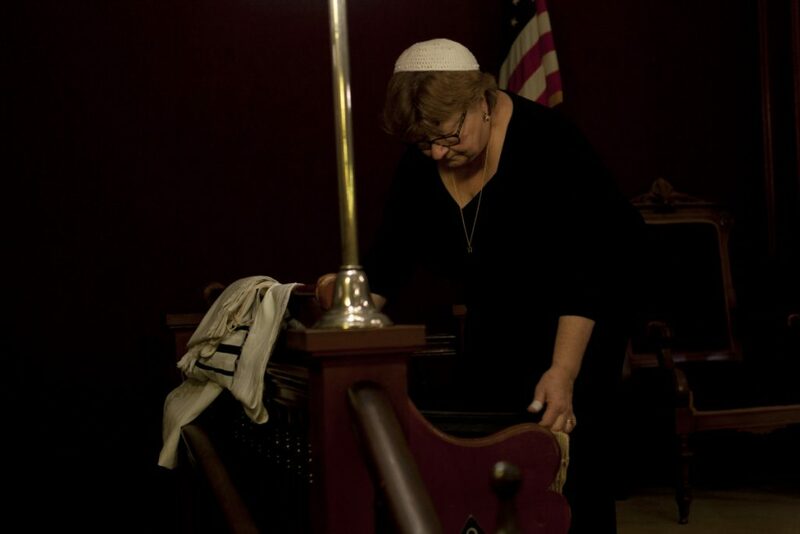 Special services and vigils are being held at places of worship as the Jewish community endures a dramatic nationwide increase in anti-Semitic incidents. 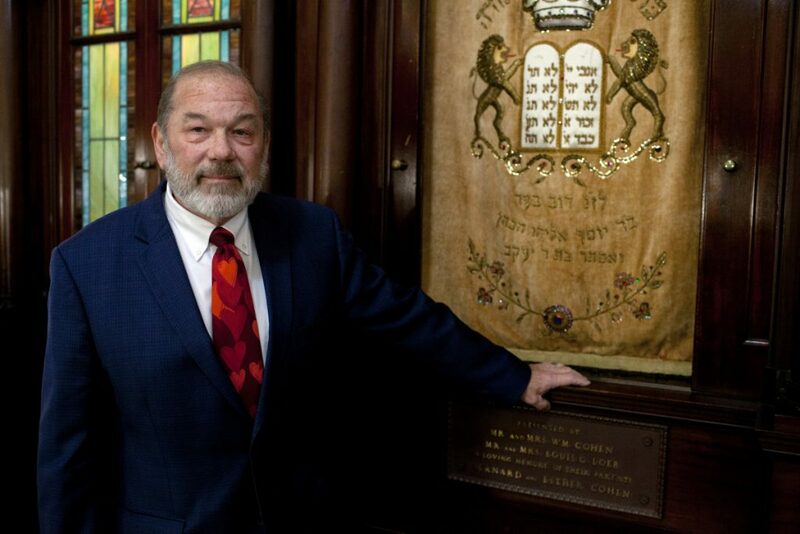 Rabbi Gary Berenson was in the middle of leading a sabbath service Saturday morning for his congregation at Etz Chaim Synagogue in Portland when a member received an alert on his cellphone about the shootings in Pittsburgh. A moment of stunned silence followed. “It was a dramatic pause. We fell silent and stopped for a moment and then we talked for a moment about what it meant and then we had to continue with our service,” said Berenson. 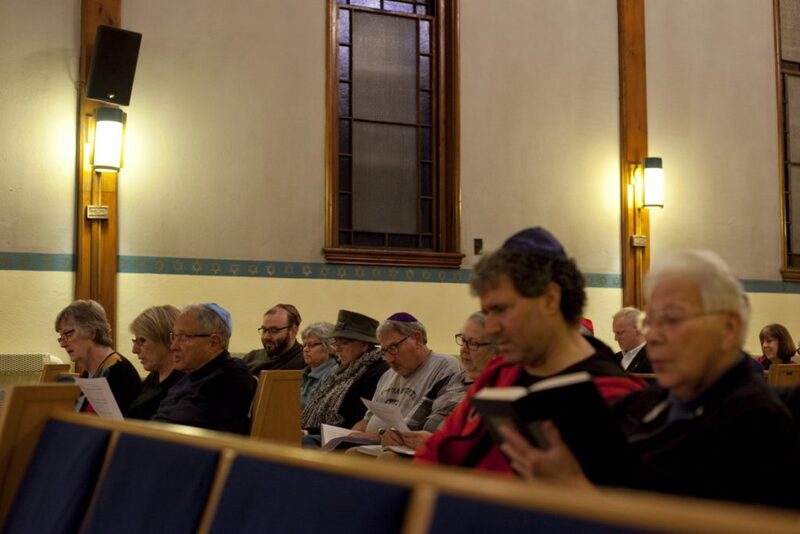 It was a scene that played out at synagogues across Maine, where rabbis and cantors were leading sabbath services while a lone gunman shot 11 people dead and wounded six others at the Tree of Life synagogue in Pittsburgh. The deadly rampage has shaken Jewish, religious and secular communities across Maine in the same week that saw the arrest of a Florida man for allegedly mailing pipe bombs to prominent Democrats around the country. Berenson said he felt an immediate connection to the Pittsburgh congregation. Etz Chaim means “tree of life” in Hebrew. “It affected us in a direct way because it was exactly what we were doing at that time. It’s not that far away. Pittsburgh is like our backyard. It gives us pause for thought,” said Berenson, whose congregation on Congress Street in Portland’s East End includes about 300 families. The shooting rampage led Jewish congregations across the state to ask for stepped-up police patrols as they rushed to beef up their own security measures. Many congregations are holding special services to help members grieve. The shootings also came at a time when anti-Semitic violence is up both in New England and nationally. The Anti-Defamation League, a U.S.-based Jewish organization, said the number of anti-Semitic incidents rose 57 percent in 2017, the largest single-year increase since ADL started tracking incidents in 1979. The ADL reported that there were 1,986 anti-Semitic incidents nationwide in 2017, up from 1,267 in 2016. In 2017, there were 132 anti-Semitic incidents reported in New England between Jan. 1 and Sept. 30, up 32 percent from the same period in 2016, according to the Anti-Defamation League. Massachusetts saw the most with 117 incidents reported, compared with four in Maine, three in Vermont and five in New Hampshire. Maine also saw four incidents in 2015 and four incidents in 2016. 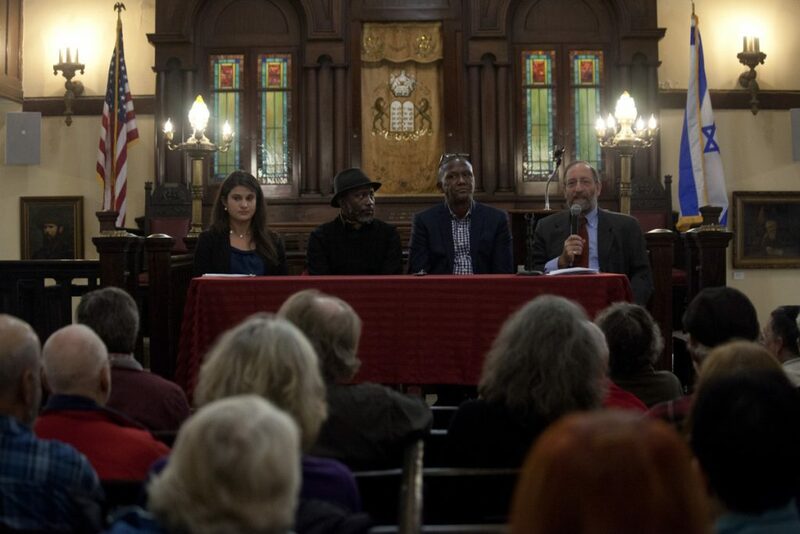 In March, Footlights Theatre, a community theater in Falmouth, received 11 anti-Semitic hate calls within days after its opening of a Holocaust-themed play. Since Saturday, police in Portland have stepped up patrols around places of worship, as police have done in other cities across the country. Some Maine Jews who were observing the sabbath restrictions on the use of phones, computers and television didn’t find out about the shootings until the sabbath ended Saturday evening. 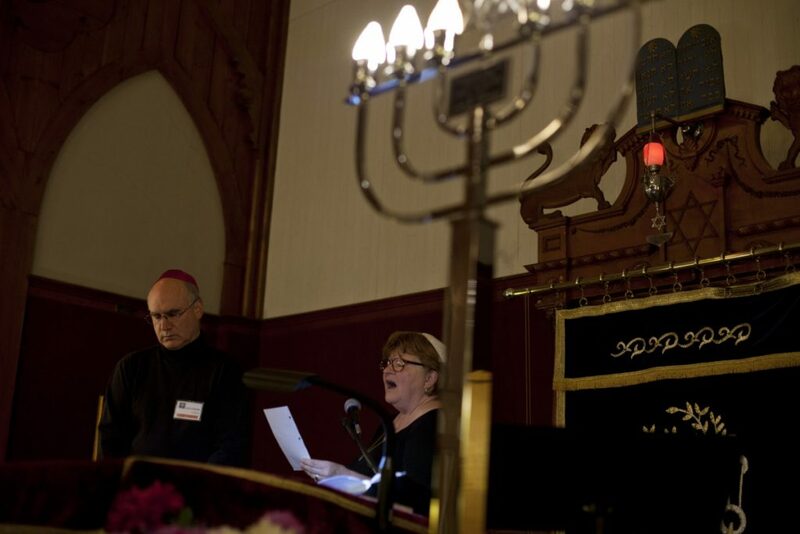 Cantor Beth Strassler of Congregation Etz Chaim in Biddeford said she heard about the shootings late Saturday from another congregation member. “Horror, just horror,” Strassler said of her reaction to the news. “To take the most solemn time of the week and pierce it with violence is so vile,” she said. 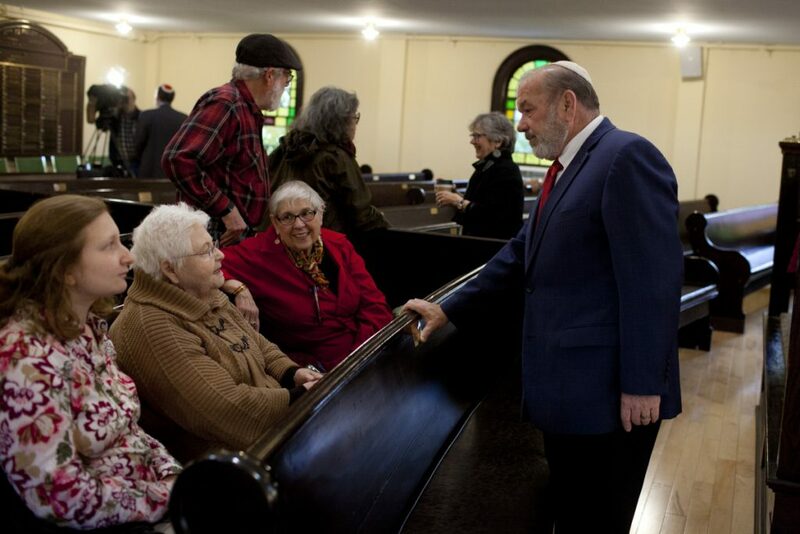 Strassler said the congregation, which formed in 1906 and includes about 100 families, has been through this before after other shootings aimed at American Jews. She said the York County interfaith community has reached out to her congregation. “I have heard from other church leaders. They are reaching out and saying, ‘We stand with you,’ ” she said. 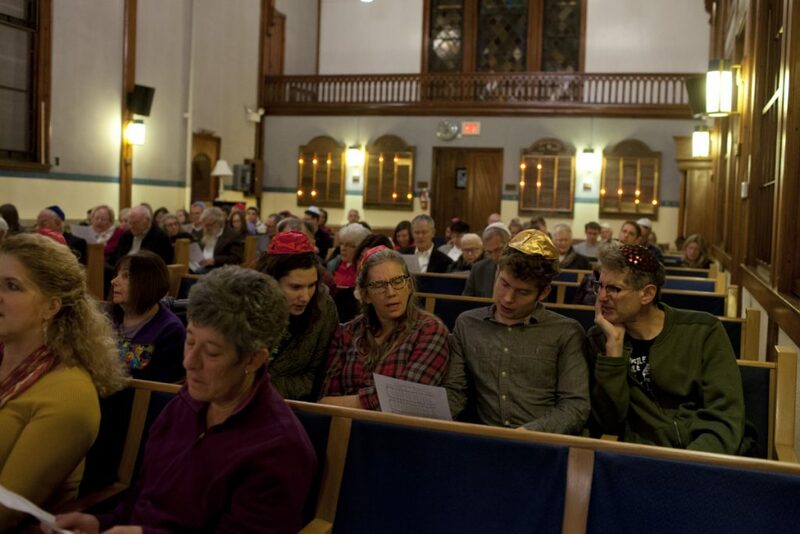 About 60 people attended a service Sunday evening at Congregation Etz Chaim in Biddeford to remember and mourn the victims of Saturday’s shooting in Pittsburgh. Synagogue President Dr. David Strassler and Cantor Strassler led the hourlong service. Some Jewish leaders in Maine said the shootings have led them to step up efforts to increase security. At Etz Chaim in Portland, a committee was formed on the spot Saturday to see what can be done, said Berenson. He said President Trump’s suggestion that armed security guards would have prevented the Pittsburgh rampage was not a well-thought-out idea. “It is abhorrent to what we think is dear, but having said that, we have to keep our people safe,” Berenson said. 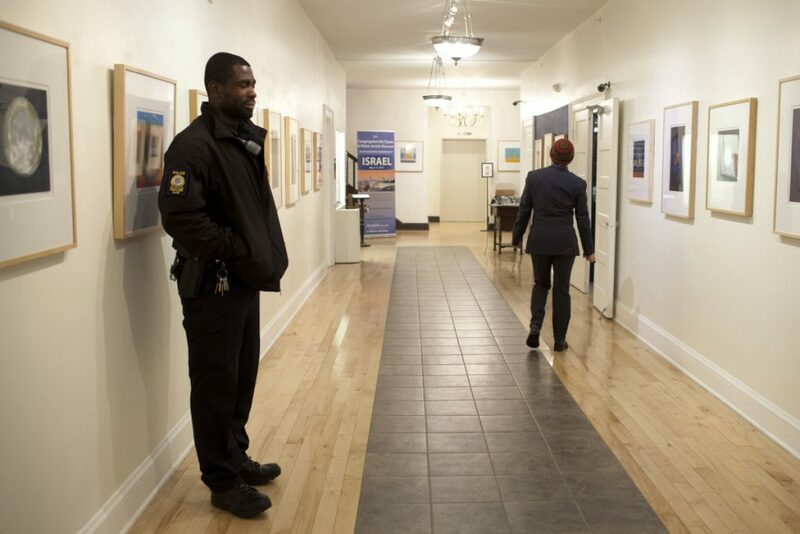 Some Portland synagogues hire off-duty Portland police officers to guard their congregations during high holidays, but their leaders said it is too expensive to keep up year-round. “We have to bring it to the next level now,” said Berenson. Rabbi Sruli Dresdner was conducting services Saturday at the Temple Shalom Synagogue-Center in Auburn when a member went outside to check a phone and came back with the devastating news. “Our first reaction was deep sadness and concern for the people in Pittsburgh, and then a sense of our own vulnerability. It could have easily been us,” said Dresdner. He said security was already on the minds of his congregation, which includes about 95 families from around Auburn and Lewiston. Dresdner said the idea of trying to keep people out of what is supposed to be a welcoming place is difficult. He said the congregation is looking at possibly installing door locks that buzz visitors in or can only be opened with codes. Dresdner said that by Sunday, his shock had given way to a deep gratefulness for the show of support from the entire community. He said he and his family have never felt even a tinge of anti-Semitism in the four years they have lived in Maine. “The opposite is the case, by pastors and ministers and priests and imams and community leaders and just friends and neighbors. There has been an outpouring of support from the non-Jewish community here,” he said. Dresdner said friends and neighbors have sought him out to express their condolences over the shootings. He is planning a special service Friday to remember the victims. “We are going to combine an intense service with singing and dancing and prayer to confirm and reaffirm that we are going to continue to do what we do with both vigor and excitement with an open discussion, grief counseling and dedicate everything in their honor and memory,” Dresdner said. A number of Maine organizations issued a joint statement Sunday decrying hate crimes and the Pittsburgh shootings. 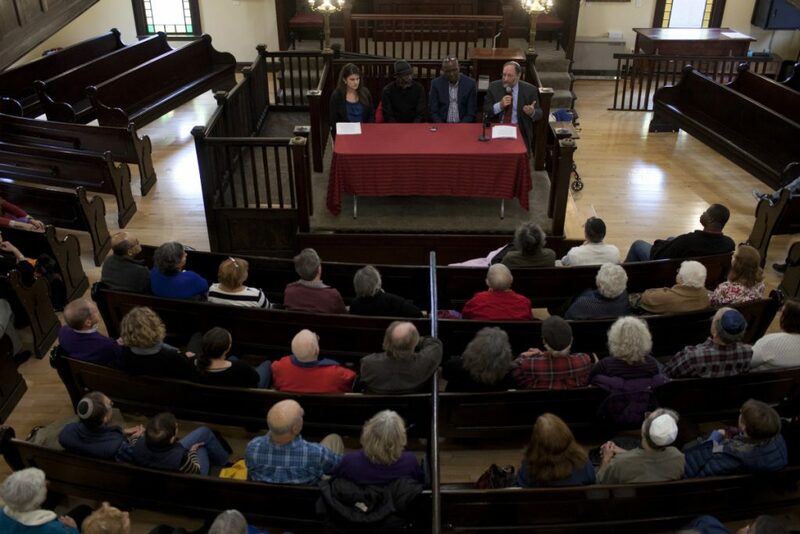 They included unifymaine, the Immigrant Resource Center of Maine, the Maine Human Rights Commission, human rights advocate Steve Wessler, the Maine Council of Churches, Disability Rights Maine, the Islamic Center of Maine, the Jewish Community Alliance of Southern Maine, and Maine Women’s Lobby. • The Jewish Community Alliance, 1342 Congress St., Portland, community vigil, 5:30 p.m. Tuesday. • Temple Shalom Synagogue-Center, 74 Bradman St., Auburn, special service, 7 p.m. Friday. • Adas Yoshuron Synagogue, 50 Willow St., Rockland, vigil, 6 p.m. Monday. Staff Photographer Ariana van den Akker and The Courier-Gazette contributed to this report.